Today, I am doing something a little different in the blog. Instead of the regular devotional, I want to say "hi" and introduce myself. This is me -- in our yard! 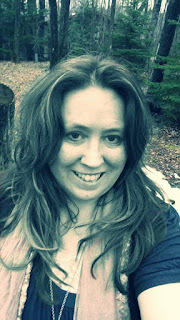 My name is Sharilee and I have been blogging in some form for the last seven years. My first blog (which I still have) started out as 100togo (a weight loss blog) and has morphed into a nature/reflection blog called Life in the Woods. that focuses on lessons through nature. I also have a collection of articles at Hubpages and a little site on journaling. My goal is to write e-books and print books to encourage others. During the day, I am a grade six teacher at a First Nations school. I have been teaching on and off since 1999, and plan to leave the classroom at the end of this year, to pursue writing and business full-time. I started the Grace Daily Blog to help get myself more into regular reading of God's word. It seems like most of the readers have been coming through the Facebook page. Welcome! It's so nice to have you here. I would love to meet you, and I am hoping you will comment to let me know that you are reading. I would love to hear a little bit about you. Where are you from? What stage of life are you at? A little bit more about me. I am married to a man I call my gorgeous husband. We have three cats, a few plants (I just started my first garden) and a big yard in the forest. This is the second marriage for both of us. Neither one of us believed in divorce, but were left by our former spouses years before we met.. When we met, both of us had been hurt badly by our past, and God has used each other to help bind us up again. I guess the reason I call this blog, "Grace Daily" is that by God's grace, that I am here today. And it's by his grace that I was able to know true love in a marriage. I grew up in a Baptist Church with Christian parents, and asked Jesus into my heart when I was six years old, led by Mom, who was a real lover of Jesus. I feel grateful that God showed me himself so early in life, and I know it helped get me through the next years. In my childhood, we had abuse in our home. There was a lot of yelling and some physical violence. At school, I was bullied a lot. The worst bully was a church kid. So, by the age of 14, I was a bit skeptical of churches. I had to attend but when I left home at 18 to get away from the craziness, it took me a while to get back to church. Then I ended up meeting and marrying a man whom I thought would bring me back to the LORD. He was a church-goer and we did go to church together. Two years later, after a lot of yelling, and physical threats, he was out the door, and I was left alone again, this time with a "Mrs." attached to my name, at the tender age of 22. 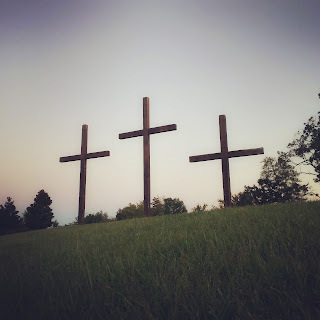 I was now a divorced Christian: a big taboo in the circles where I hung out. It certainly wasn't my ideal plan. It wasn't what I wanted, but God did use this situation and many others to get me to know what it really meant to follow Him. My divorce brought me to a place where I felt determined to follow the LORD, no matter what. Like I said, I started this blog to help keep me focused on reading God's word. If the LORD uses this to help bring others closer to Him, that's awesome! So, please tell me a bit about yourself. What has been a bit of your faith journey? What are you looking for, from this blog? I look forward to "meeting" you. Peace will come to those who are in sight of our amygdala process control. Quiet this old instinct in the muddy earth as all dark bitter seeds. Close thou eyes, whith depth of breath to seed will come depth of ones self. No need to look or label the light for the bitter dead husk has been shed. Let mind grow like mothers infinite fractal shaping leaf and fruit. Only our belief and influence could constrain it's potentialfir strength and beauty. Love this blog and happy to meet you through your powerful words. My name is Greta and I blog about sexual purity and faith on my blog @ http://gretainezsmith.com . I am a lover of redemption stories, and the bible and life are full of them. I'm also a second generation preachers kid. That is a journey all in itself. I spent years in a battle between purity and promiscuity. The toll taken has been astronomical, but God is so good. He has now given ME an opportunity to encourage single Christian women who are struggling for purity. I am so blessed! I will return to this blog again- Have a blessed day! HI Greta! I apologize for taking so long to get back to you! I have been working on other projects, and let this blog kind of blog. Thanks so much for your kind words. I like your phrase, "between purity and promiscuity." That says it so so well. And that is so, so wonderful that you are taking that broken part of your life, and now ministering to others on the same road. Hallelujah, God uses for God what Satan meant for evil. Thanks for the visit, and I I also look forward to checking out your blog. Take care.